If anyone can bridge the gap between skaters and baseball fans, it&apos;s Vans. In a collaboration with Major League Baseball, Vans is working on an Opening Day Collection that will include 12 pairs of an Authentic LX and a matching limited edition Majestic Jersey that will drop on April 5 at top retailers located in the teams cities. 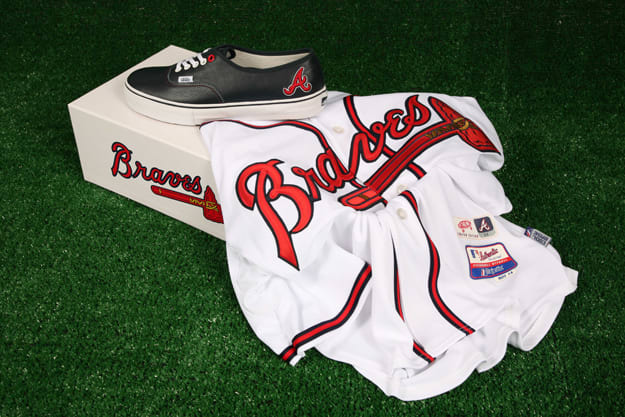 This Atlanta Braves package drops at 12p.m only at Wish in the ATL, just a few hours before the first pitch at Turner Field, where rookie of the year candidate Jason Heyward and the Braves open up against the Chicago Cubs. Check a close-up shot of the sneaker after the jump. Batter up.